Aussie pineapples are available all year round, even during the winter months! So now is the perfect time to grab some pineapples and enjoy their sweet, tropical flavour! Pineapples are an excellent source of vitamin C, important for a healthy, functioning immune system. They also provide a good source of thiamin, magnesium and vitamin B6, which all act to keep the body healthy and functioning. 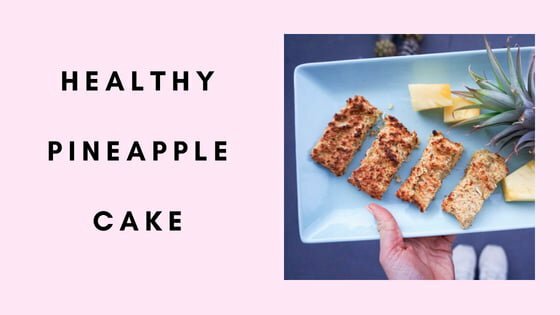 Pineapples also contain a special phytochemical called Bromelain, which has been shown to be anti- inflammatory and may have benefits for colon health! 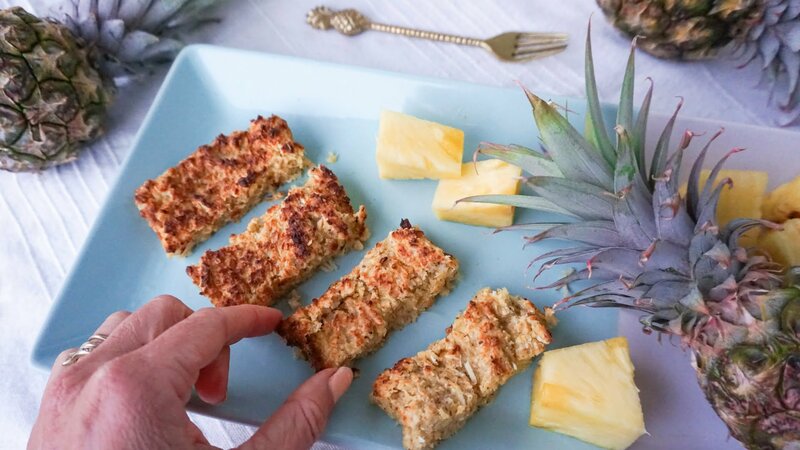 Combined with the good fibre content, pineapples are a terrific food for keeping your gut healthy and happy. When choosing a pineapple, always check that the fruit is free from soft spots or bruises and if it has the top that the leaves are fresh and green. A pineapple should feel nice and heavy for its size. 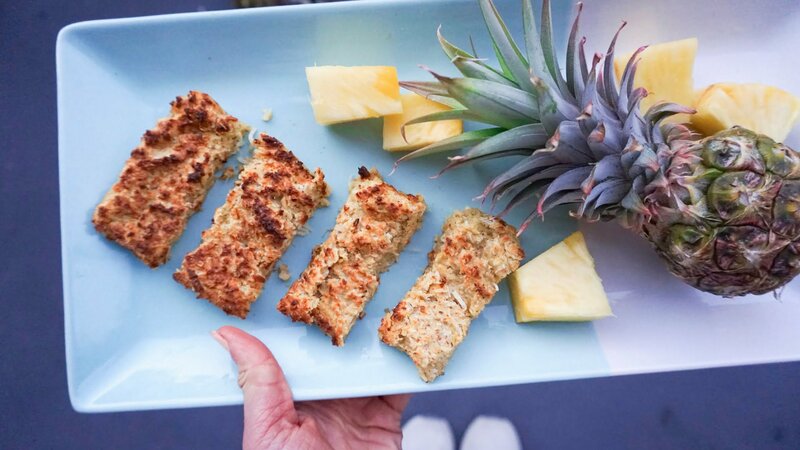 *Note – you can make this recipe gluten-free by replacing the wholemeal flour & oats with an equal amount of buckwheat flour or other gluten-free flour of choice. Preheat oven to 180C. Lightly oil a cake tin. Pour oat flour into a large mixing bowl. Add remaining dry ingredients and mix to combine. Place remaining ingredients in a blender and blend until smooth. Pour into dry ingredients and stir to combine. Scoop mixture into cake tin and bake for 20-30 minutes. Remove from oven, allow to cool. Enjoy. Editor’s Note: *these ingredients were gifted to me by The Source Bulk Foods & Australian Pineapples.